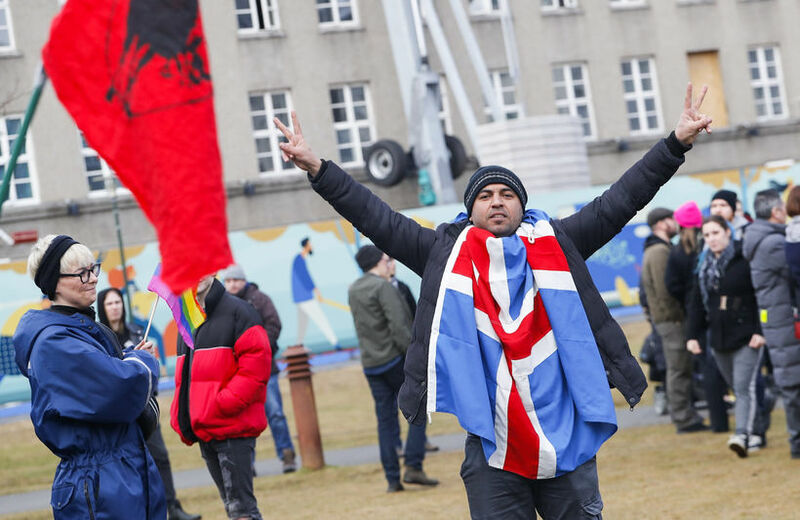 When the small nationalist party of Iceland, Þjóðfylkingin, annonced that they were going to protest against asylum seekers, who have been protesting in Austurvöllur square in recent weeks, crowds of people flocked to show their support and their solidarity against racisim. 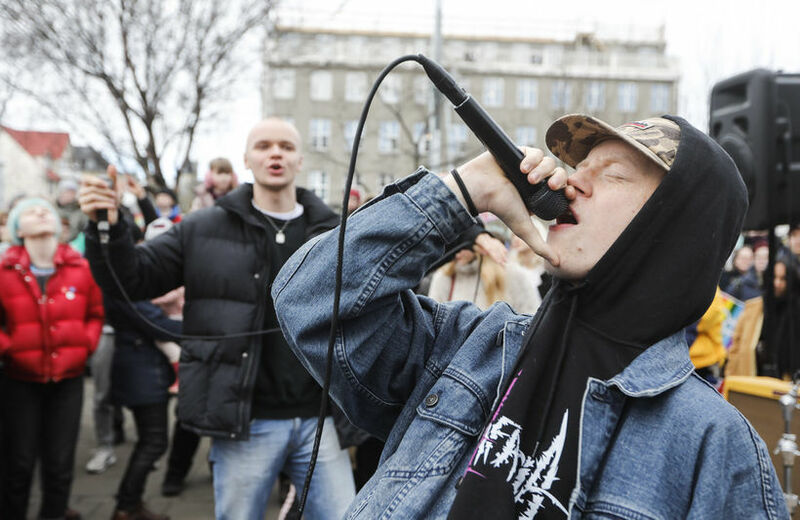 In the Facebook event it stated: "The nationalist party planned to “protest the violence that asylum seekers have projected on Icelandic society and the Icelandic police“ - as if the refugees were the ones with pepper spray and batons. "We would really appreciate to see as many people united against racists as possible! 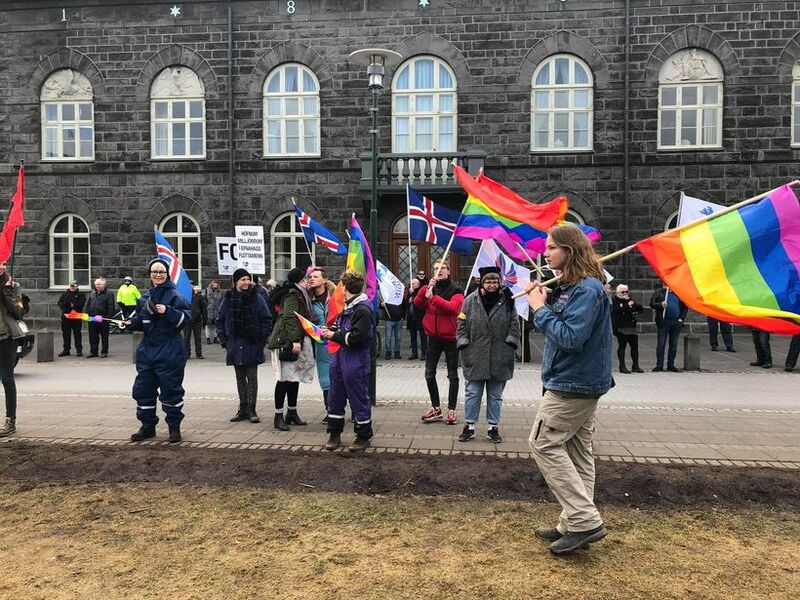 Together, we can show the Icelandic nationalists that we are so much stronger when united and have fun while we're at it!" Crowds of people flocked with flags- queer, anti-fascist, environmental and so forth and managed to completely cover the nationalists. Numerous Icelandic bands played at Austurvöllur during the day and into the evening to create an almost festival like atmosphere. Mbl.is interviewed a couple of asylum seekers,Samuel and Moses from Nigeria to ask why they were protesting. "The Ásbrú refugee camp is like being in prison, one can't go anywhere and we have nothing to do. 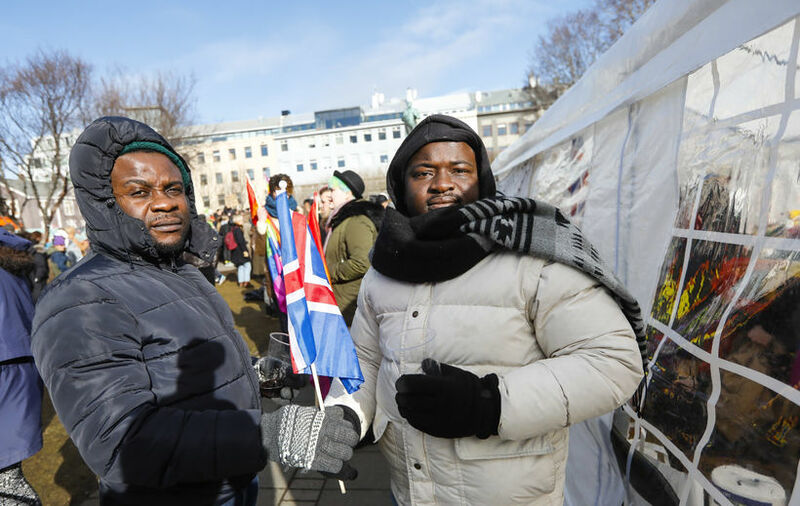 We can't go to school, can't learn Icelandic, can't work and we receive no medical care."